For someone who is so in love with guns and demolition, American YouTuber, Matt Carriker was a very down to earth, family guy, who lived a peaceful and blissfully mundane life with his wife and three children. The Texas native is most famous among the YouTube users because of his gun-themed YouTube channel, DemolitionRanch. He also has two lesser popular channels: Vet Ranch and a vlog OffTheRanch. DemolitionRanch might be Matt's most successful channels but in recent months, Matt has seems to have shifted his focus to OffTheRanch, with three or four fresh videos every week. Born on 21 October 1986, in Texas, Matt went on to attend Texas A&M University, College of Veterinary Medicine & Biomedical Sciences. He graduated with a degree in veterinary in 2008 and got his veterinary license in 2012. Matt grew up with his brother and sister in Texas. Few years out of college, Matt started his own YouTube channel, the DemolitionRanch, where he talked about guns and gun-related things. The channel is extremely popular with over 6 million subscribers and 800 million+ views. Apart from DemolitionRanch, Matt also operates two more channels in YouTube: Vet Ranch, where he uses his professional skills as a veterinarian to cure pet animals; and OffTheRanch, which is a vlogging channel where Matt shares the incidents from his own life. With his earnings from his three YouTube channels, Matt has earned a net worth of over $ 1.8 million. On the back of his Youtube success, Matt is also set to debut on the silver screen. He is to appear in a major secondary role in a zombie apocalyptic movie Strain 100. Although he might not look it, with his love for guns and demolition, Matt is actually a very down to earth family guy. 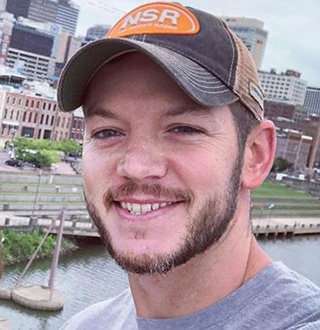 He is married for 10 years with wife, Meredith Carriker, and has three little children, Addy, Annie, and Lincoln. Professionally a marathon runner, Matt’s wife is a very religious person, thus a loving wife and mother. The family lives in San Antonio, Texas. Matt and Meredith were only 22 years of age when they tied the knot, but still now, at the age of 32, they are as close as the day they got married; the bond they shared remains intact.